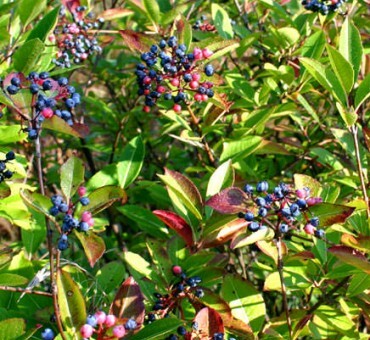 More of a ‘nibble’ wild food this Viburnum produces clusters of dark blue fruit that was used to make a drink or left to raisin up. When the fruit has turned soft and black then the flavor is like a dried prune. 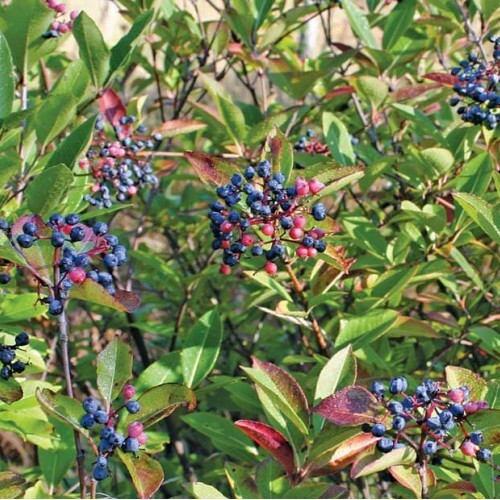 Very fruitful under cultivation and can grow in open sun or light shade. 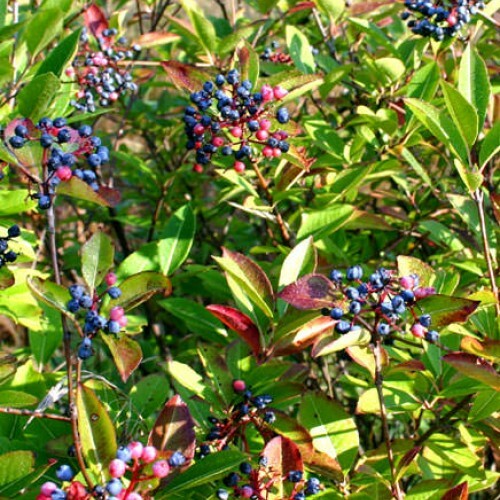 Although small in size the flavor is good enough to chew on while wandering imagining raisins.This species and the Manchurian viburnum have a similar flavor. The fragrant flowers are densely born all along the outside of the plants. Height and width to 6 ft. or less. Our seed source originally came from northern Wisconsin and Nova Scotia. After twenty years the plants look like giant balls of flowers in the spring making it one of the best for ornamental use. Everything is grown from seed not cuttings. Self fertile but not a bad idea to have 2 or more to increase fruit set from what we have experienced at our planting. Seeds to grow well in loam soil. Adaptable to wet conditions too. Zone 3-7. Does best in cool moist climates. Easy. 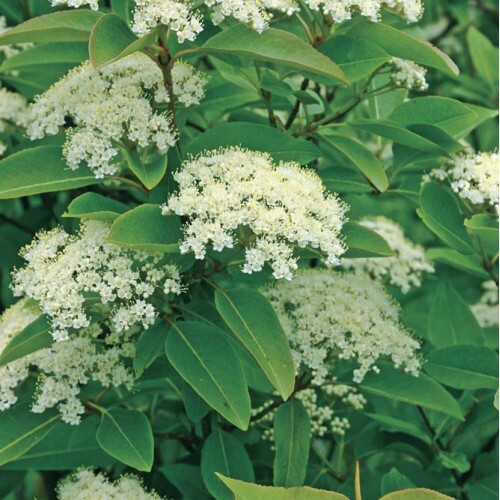 Does well but not as vigorous as most ornamental viburnums.